Есть в Украине места, в которые хочется возвращаться снова и снова. 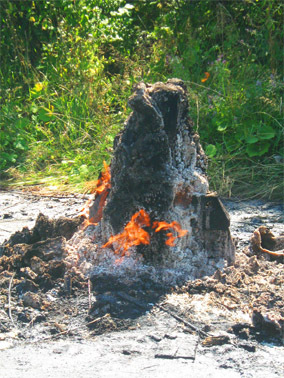 Одно из таких мест, небольшое село Квасы, Раховского района Закарпатской области. After rising to the Angarsk pass before you have a view on the southern coast of Crimea. Rises Mount Demerdzhi. 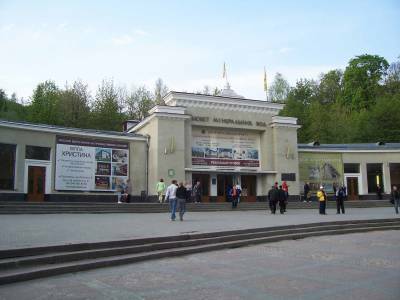 One of the largest balneotherapy resort of Ukraine - the city Truskavets. The main medical factor - mineral water NAFTA. Karadag - mountain ridge height of 575 m, located in the vicinity of Koktebel. Karadag - an ancient volcano, which operated 150 million years ago. In a unique biosphere reserve, located 4 km from the Transcarpathian city of Hust, only once a year, from the middle to the end of May you can see the unique phenomenon of nature - the Valley of daffodils bloom. Starunskih mud volcano is situated in. Starunov Bogorodchany district, Ivano-Frankivsk region. 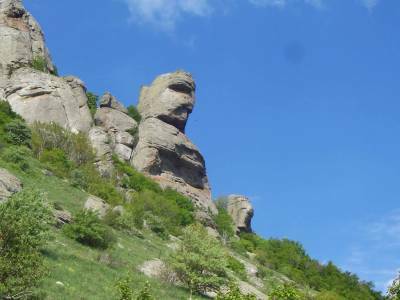 Geological monument of nature - a single and unique not only in the Carpathian region, but in the world. His appearance, he must first of all people. More than a century ago it began to develop oil and ozokeritnye field. 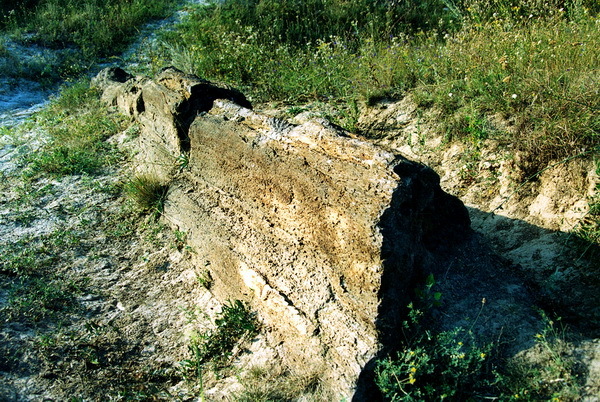 Druzhkovsky petrified trees - geological natural monuments of national importance. Located in the Constantine region of Donetsk region near the town and village Druzhkivka Alekseyevo-Druzhkivka. Southern Bug River Valley is considered one of the best natural "pearls" of Ukraine. 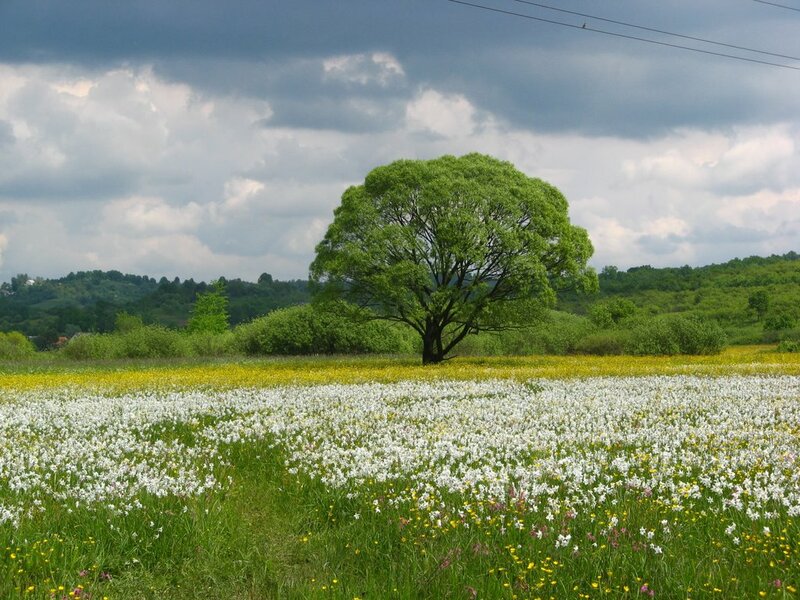 Especially beautiful is the territory from the northern outskirts s.Kinetspil to g.Voznesensk. 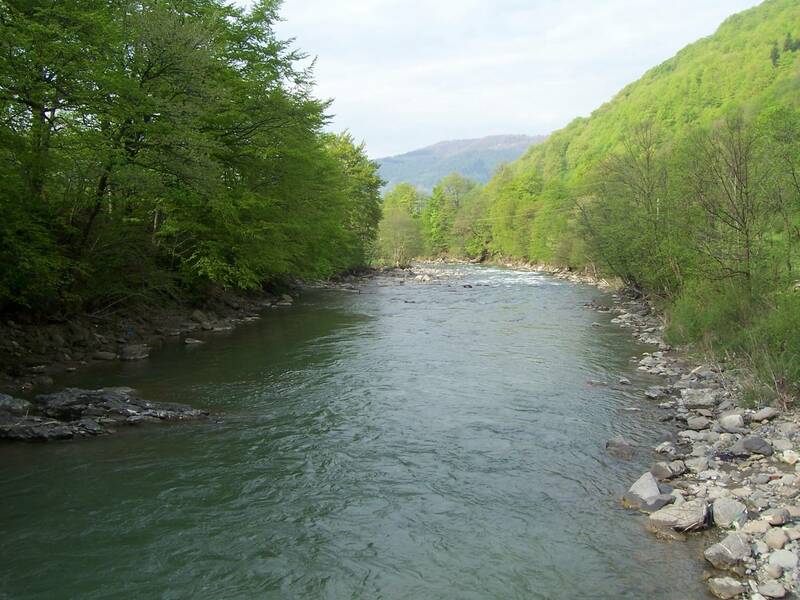 Few people even know about the amazing rivers and Mertvovod Arbuzinka, which are tributaries of the Southern Bug. Thus, for these rivers, is not as rapid as the Bug, but for millions of years these small rivers have created a unique canyon, which takes the breath away. For hours you can look at this work of art created by nature. 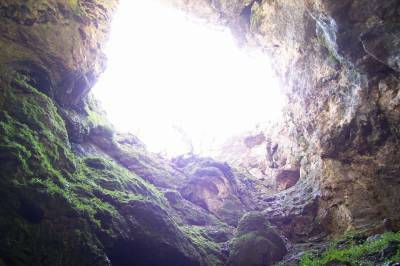 In Crimea, known more than 800 caves, of which 50 declared monuments of nature. 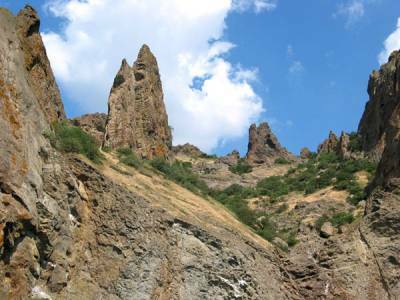 One of the richest places caves of the Crimea - Tent Hill, it also Chatir-dag - the second highest of the Crimean mountain chain. It seems that this is separated from the main mountain range towering over the whole Crimea. There are more than 200 caves, with depths ranging from one to two meters to more than 200 ... Most of the caves are accessible only to professional cave explorers. 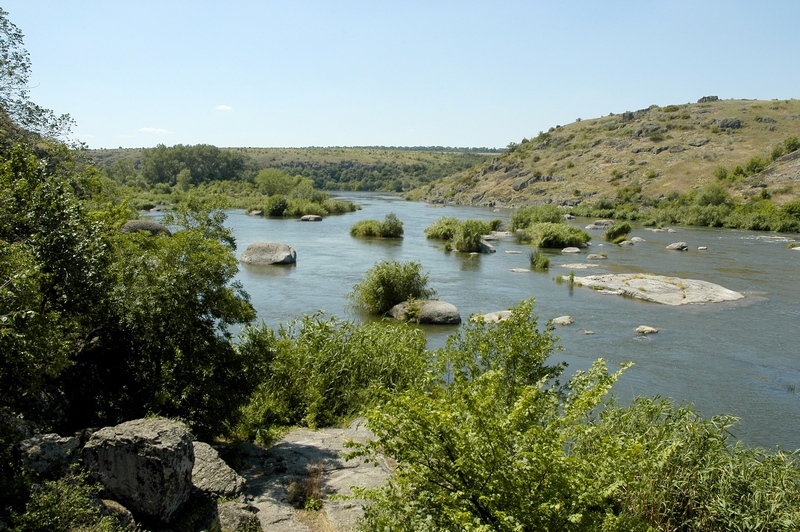 In Ukraine, a number of interesting natural features - rivers, mountains, valleys and gorges. On the natural wonders of the country in this article. 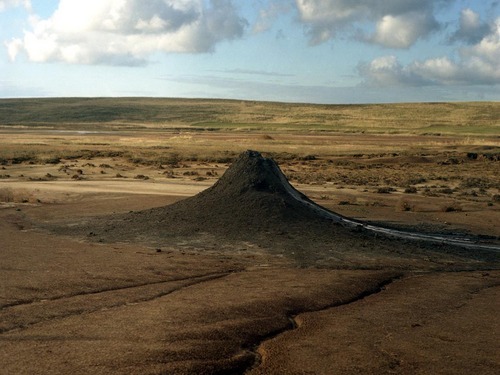 Mud volcanoes in Crimea.